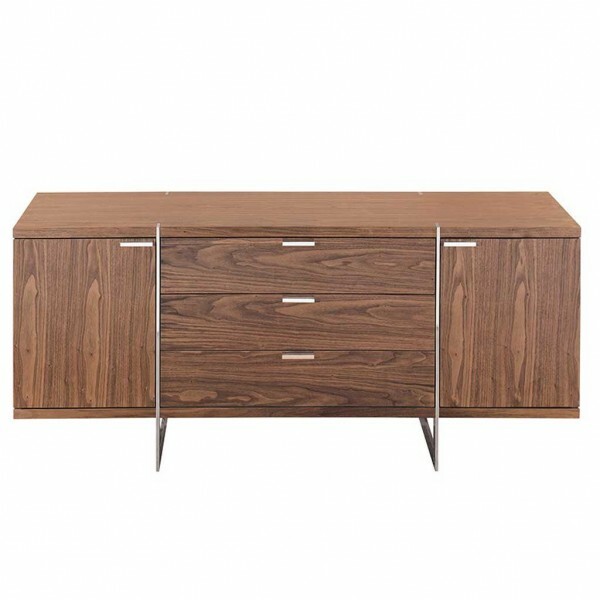 Fabulous modern Walnut sideboard in a stunning contemporary style with modern clean lines, chrome detail and a wonderful Walnut finish. 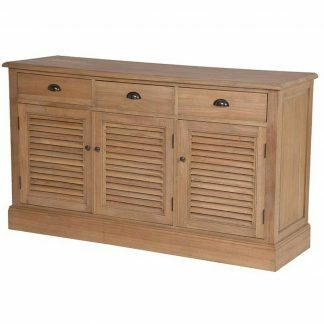 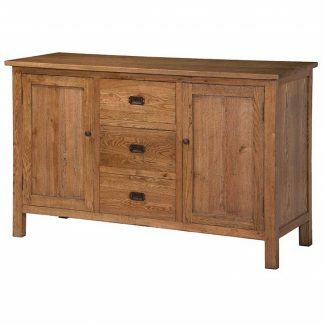 This sideboard will meet all your expectations and beyond. 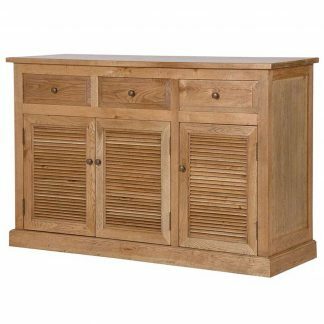 It offers plenty of storage space with two large side cupboards and three central ‘easy to open’ drawers all with modern contemporary chrome handles. It is supported by a chrome legs.